Since 1995, Aux Délices has been serving up the culinary creations of chef Debra Ponzek to the public. What started as a small shop in the Riverside, Connecticut community has turned into a well-loved destination with multiple locations. Being around for decades, Aux Délices visitors have their usual orders and their favorite options. 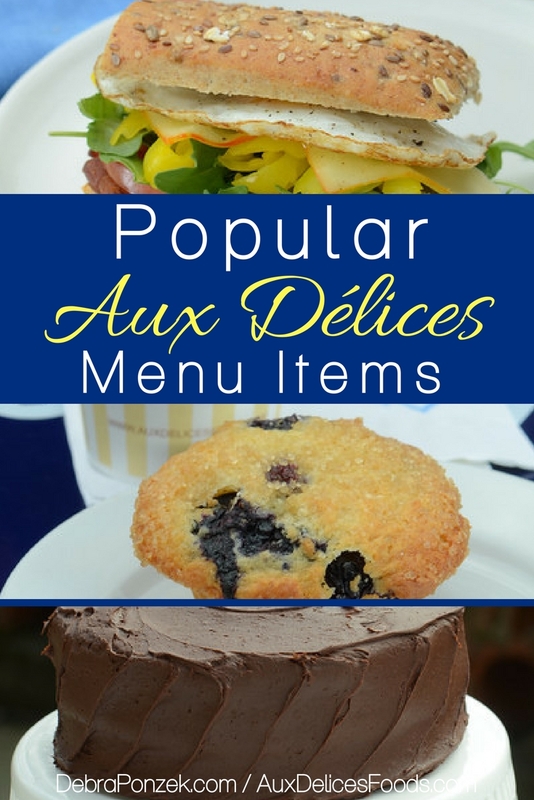 The most popular Aux Délices menu items have not only made their ways to every location but have also become the favorites of hundreds of visitors. There are many favorites but the most popular Aux Délices menu items have been ordered over and over again for good reason. Many people start their day with Aux Délices. Getting that cup of turmeric tea or coffee has become a habit for many. Add to that breakfast drink the most popular breakfast sandwich at Aux Délices and you’ve got a great start to your day. The 1700 is a breakfast sandwich that comes with arugula, bacon, cheese, banana peppers and a fried egg. It’s easy to see why the 1700 is one of the most popular breakfast sandwiches at Aux Délices. While the 1700 is the most popular breakfast sandwich, that’s not to say that people don’t love our breakfast pastries. Our pastries are made fresh and make the perfect on-the-go breakfast. There are many different choices and sometimes, there are even special options that are only made when the ingredients are in season. The casserole is one of the most iconic American dishes. At Aux Délices, there may not be a casserole per say but there is the breakfast strata which is very popular. 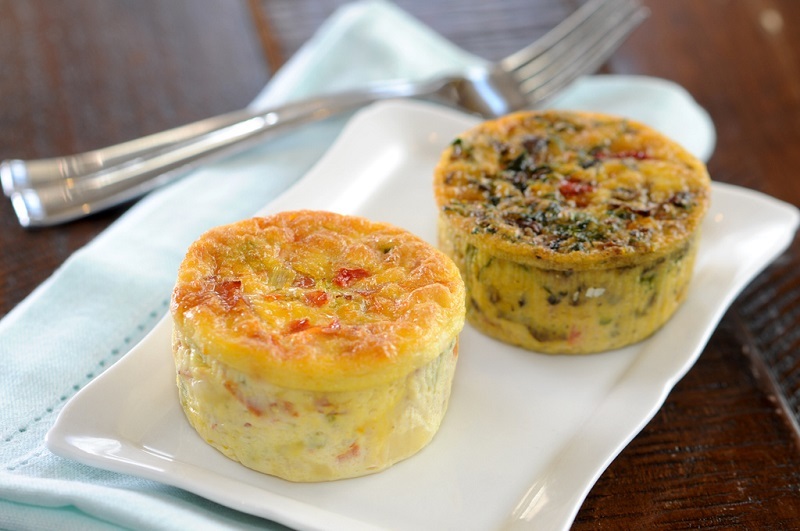 The breakfast strata is great to share or to slice and eat piece by piece. And when paired with a cup of turmeric tea, it’s the breakfast of dreams. Once breakfast has come and gone, it’s time to enjoy lunch options at Aux Délices. There are many different sandwiches and options that make for great and healthy lunches. One of the best of both worlds is the arugula salad. The arugula salad is a packaged salad that can be taken with you wherever you go and enjoyed later. 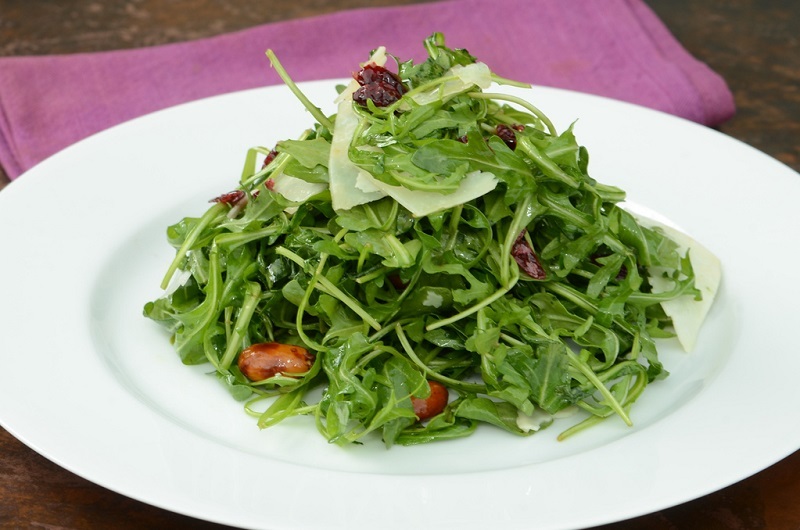 Each packaged salad comes with arugula, sweet almonds, dried cranberries, and Manchego cheese. Some of the favorite lunchtime options at Aux Délices include the mini baguette sandwiches. These sandwiches are made on fresh baguette rolls and come in many different versions. 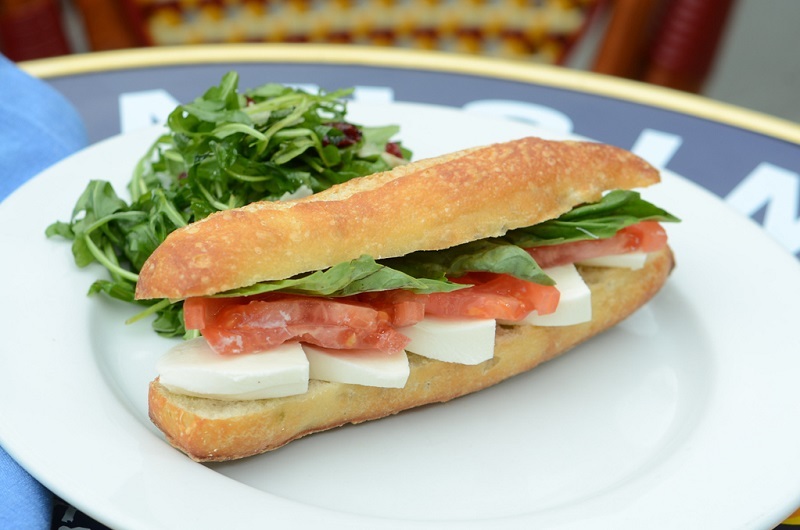 The most popular of the mini sandwiches is the tomato mozzarella baguette. This sandwich is not only filling but refreshing and healthy as well. Aux Délices is the place to go to get amazing cakes that are handcrafted that can also be customized to your preferences. While custom cakes are always fun, the homestyle chocolate cake from Aux Délices is by far the most popular. This cake is made from scratch and made to order.